:Sleep, dreams and the night can be mysterious and sometimes troubling. Children can be afraid of the dark, have nightmares and night terrors, sleepwalk, or have insomnia. How do we deal with their concerns and fears and help them to draw close to God at night? This collection of Bible story retellings exploring God's character and promises will enable parents to help children grow in peace, confidence and understanding of who God is. 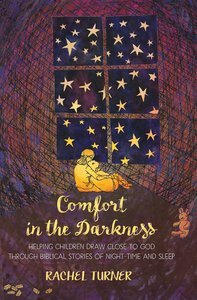 About "Comfort in the Darkness"